This past week we were able to have a bit of fun with chocolate molds, gum paste, frosting and cupcakes for a 5-year-old’s Minnie Mouse birthday party! The display included chocolate, white and strawberry & white swirl cupcakes. 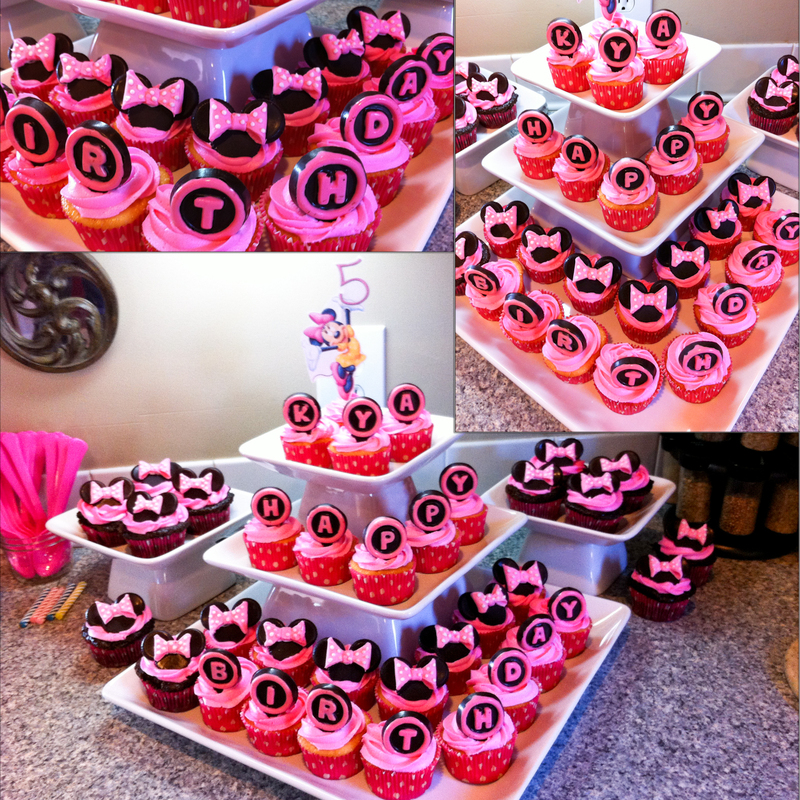 This entry was posted in Cupcakes and tagged Cupcake, Minnie Mouse, pink, theme parties. Bookmark the permalink. All pictures taken by Kalee Kreations.